In WordPress, excerpts can be manual or automatic, and they’re slightly different from teasers (text before <–more–> tag) just because WordPress is handling them differently. If you don’t write your own excerpt, WordPress will make a summary automatically and take first 55 words from your post. 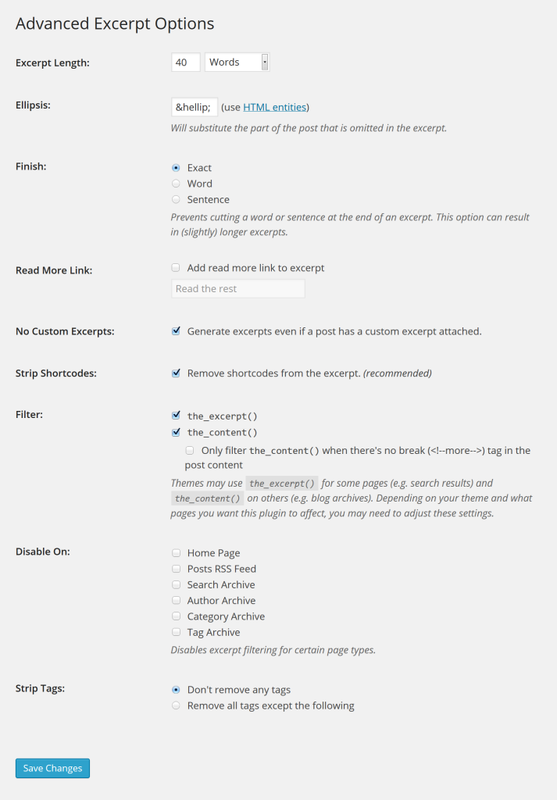 If you are new to WordPress and now you’re trying to find your own excerpt box where you want to write a manual summary, you have probably found none. That’s because excerpts are hidden by default. To make the textbox visible, while you are editing a post or writing a new one, click on “Screen Options” which can be found on top of the page where you have to check “Excerpts”. Now you’re ready to scroll under your post and write your excerpt. But as you can see, there is no option which would simply change the length of an excerpt. That’s probably one of the reasons why you’re reading this article, and in the next few lines, we’re about to show you a quick and simple way of doing that. Of course, you are free to change the number to any integer you want. But remember we’re talking about summaries – you don’t want your summary to be too short, but there’s no need for exaggerating. You can always put a “read more” link after each excerpt. If you want even more control over your excerpts, you should consider Advanced Excerpt plugin which is capable of doing the same job with some extra features, plus, you won’t have to deal with the code and PHP files. After some time spent on your blog, some categories might require more words in excerpts and some will need shorter ones. So, let us show you how to change the length of the category excerpt. This function will allow you to set different excerpt lengths for different categories and still let you choose the default one. Instead of displaying the entire post on your homepage, excerpts allow you to show only a part of it which can make the user interested in the article. After users see the title, image, and an excerpt of your post, you need to inform them that they can read more about the topic by following the link to your article. If you ask us, a featured image should always lead to the main article, but you should also allow your readers to follow the “Read More” link or a button. That’s actually all there is. After you’ve have saved the changes, each and every excerpt on your WordPress powered website will now get a “Read More” text (or whatever did you write in the code above) with a link to the original post attached to it automatically. You can check out the result by opening your homepage, blogroll or wherever you’re displaying post’s excerpts. If you would like to have more control over excerpts or you don’t like messing around with the custom functions, you should take a look at Advanced Excerpt plugin. By default, WordPress doesn’t include excerpts in pages. That’s quite reasonable since pages are made to be different than posts. But in some cases, you’ll need excerpts in your pages as well. Since there is no easy way of allowing this, i.e., there is no checkbox which you can simply click to enable excerpts for pages, we will show you the second easiest way of doing that. No, you won’t be needing a plugin, nor you’ll have to go into detailed setups. In the following lines, we will show you a really short function which will do the job for you. It’s definitely not as simple as clicking the checkbox, but it wasn’t much harder than that, wasn’t it? Now that you’re done with copying the code, you can navigate to any page to test the feature. Well, it seems like there was checkbox included in the process all the way! 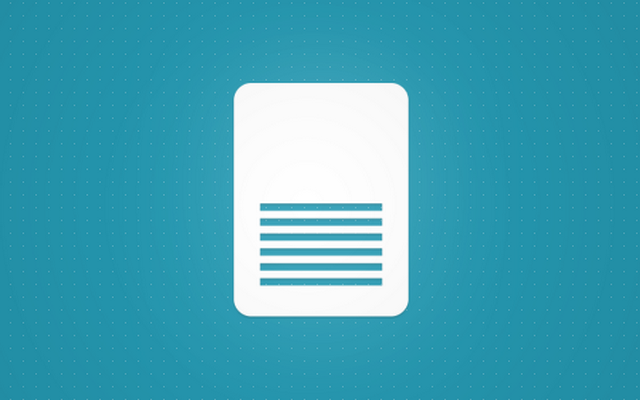 You can now scroll down and write an excerpt of your page. Code snippets like this one can really help a lot, right? If you want to learn more about the plugin and the code that’s powering it (which can be easily customized), visit the plugin’s wiki for additional documentation. Although summaries might sound unimportant for beginner bloggers, it is important to have your excerpts in order. Whether you’re going to write summaries for each post or let WordPress handle things, it’s up to you but make sure to handle excerpts on time. Hopefully, this tutorial will help you customize excerpts just the way you wanted. If you have any questions, feel free to write a comment and we’ll be happy to help.